And not-to-be-missed are gorgeous blue kitchens from Wide Open Spaces - so much kitchen eye candy here it's not even funny! I Love all of this...esp that pot! Love. I think I need that pot. I think my husband doesn't think I need any more pots. I have that colander and I love it. Been wanting to get the egg crate too for photos. Love that color. 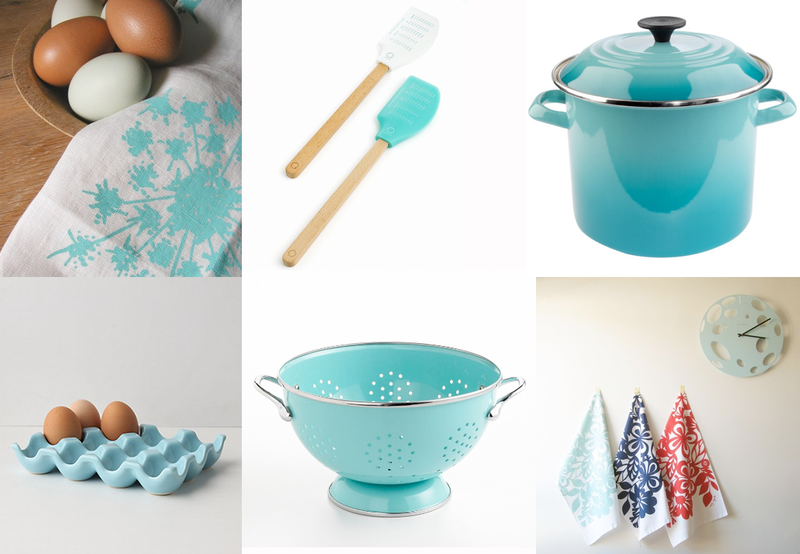 Why is it that kitchen items are so fun to buy? i love this color, I want to trim my cabinets in it - but that would require an entire makeover and I would rather cook haha!